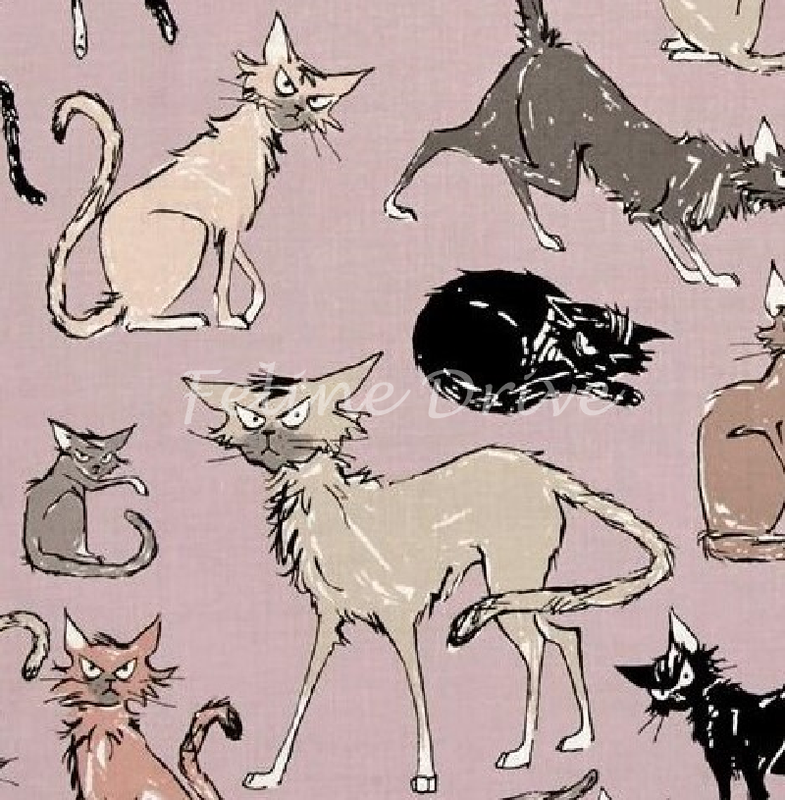 Home > End of Bolt Pieces > Cat & Wild Cat Fabric EOBs > End of Bolt Piece - 9 Ghastlie Lives - Sebastian the Cat - Mauve - 17.5"
"In Ghastlie Manor on Ghastlie Street there's a Ghastlie family there to meet. Mathilda Ghastlie with husband too extend a Ghastlie hand to you. It's a Ghastlie day for a Ghastlie walk, under Ghastlie trees on a Ghastlie block. A Ghastlie time for Ghastlie things like Ghastlie pets with Ghastlie wings!" Or Ghastlie pets with paws - Sebastian Ghastlie is the Ghastlie family's cat! 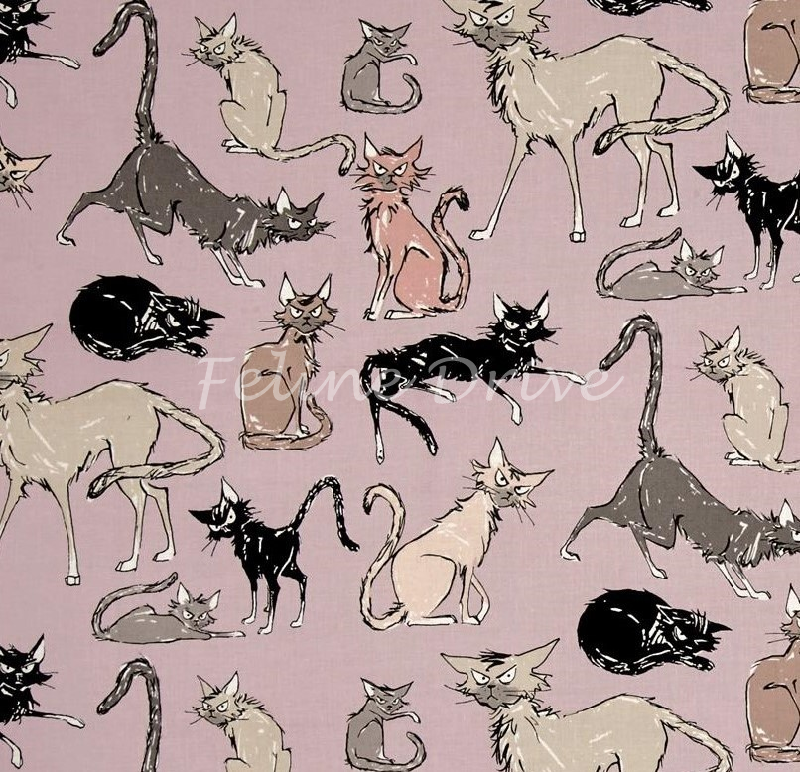 This fabric features Sebastian in shades of gray, brown, and black on a mauve background. Print Size:Cats range in size from 1.5" to 5" long/tall. Design repeats every 12".